November 2, 2012 / P.J. This is the first of a two-part series about DGCourseReview.com. Check back next Friday for the second installment. When many players discover the game of disc golf, it is only a matter of time before they want to branch out from their home course and discover other venues to play. 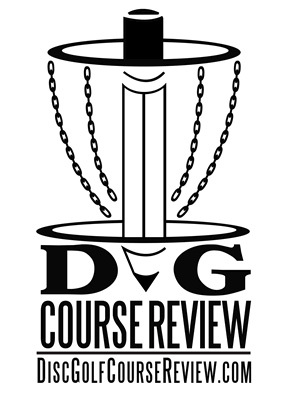 Boasting a directory of more than 4,500 courses, Disc Golf Course Review (DGCR) allows players to find courses, track scores, map out road trips, and so much more. New players of the past were not always as fortunate as those today. Take Tim Gostovic, the brainchild of DGCR. The Rochester, New York native started playing disc golf 10 years ago and was immediately hooked on the sport. As his interest grew, he and his friends took their love of the sport beyond their local surroundings. But with the PDGA website listing only locations and directions — and with other sources of information being scarce — Gostovic found the planning process to be restrictive. It was from these dilemmas that DGCR was born. After a little more than a month of development, DGCR was launched in May 2007. In addition to the number of courses available to locate, there are currently more than 44,000 reviews and 84,000 photos to accompany them. What users of DGCR find out quickly is that, besides hosting a wealth of course information, the site features a multitude of other useful tools. Such was the case for Dave Allen of Climax, North Carolina. 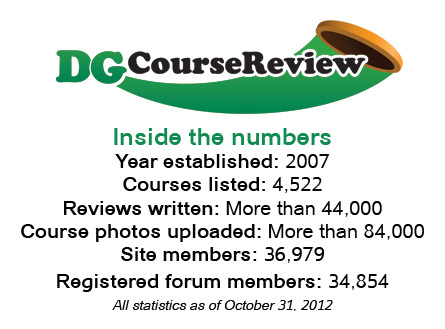 Indeed, the discussion forums that make up DGCR’s other half can be just as helpful to users as the course directory. Whether someone is looking for information on a new disc (equipment), an upcoming event (tournaments), or just wanting to shoot the breeze about the world outside of disc golf (The Water Cooler), there is a sub-forum to meet each user’s needs. One of the site’s most popular sections, though, is The Marketplace, where members can pay a $5 yearly fee to post threads in which they can buy, sell, and trade discs with other players. Thriving on a system of feedback that tracks transactions between users, it is a place many golfers can find used discs from trustworthy sources. Allen agreed with Safford’s sentiment about finding value through the site. “The Marketplace is a godsend for discers on a budget or for finding discs that your local economy simply can’t provide otherwise,” he said. For members of the site who are willing to pony up more than five bucks to help the site keep running, a premium membership unlocks a great deal of other features. For $25, members are treated to a multitude of additional services the average site user cannot access, including charts and graphs of personal score statistics that include hole-by-hole analysis. Traveling golfers like Gostovic can also take advantage of DGCR’s Route Map, which gives users the ability to plug in their starting and ending points and show the courses that are along the way. The route map is an impressive feature for premium members. Gostovic agreed that the Route Map is a powerful tool. 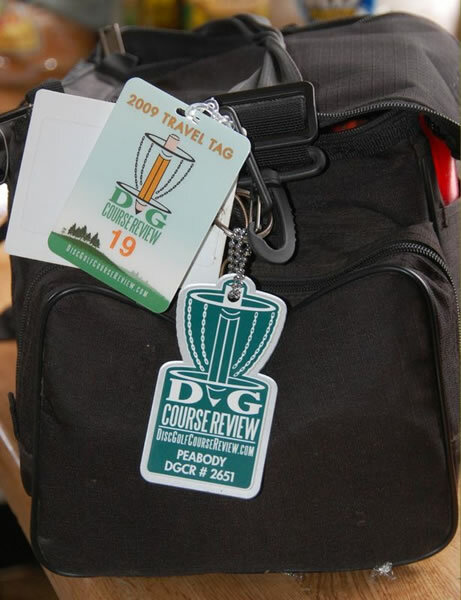 Even if a golfer doesn’t want to spring for a membership, there are other ways to support the site, including purchasing DGCR travel tags to exchange with other members, or buying custom-stamped discs. As the site’s founder, Gostovic said he is appreciative of those members and advertisers who are willing to pitch in. And while the site may have many bells and whistles to satisfy users, there is a simplicity to it that members said they enjoy. With the breadth of content available at DGCR, one might think that Gostovic is able to commit all of his time to keeping the site afloat. The reality is, though, that he has a full-time job as a web developer, yet still spends two-to-three hours working on his baby per day. With moderators tending to the forum side of the site, Gostovic still checks course updates for spelling and grammar and optimizes uploaded photo sizes so they load properly. It is part of the responsibility he said he feels to the greater disc golf community. Matt Walter, a site moderator from Chicago, had nothing but praise for Gostovic’s dedication to making DGCR what it is today. Stengele also spoke to the impact Gostovic has had on the disc golf world. Gostovic, though, gives much of the credit for the site’s value to the disc golfers who have embraced his creation with open arms. “The site initially grew because it was a novel idea in the disc golf world,” he said. “These days, I attribute growth to the site’s community. The members are what makes the site, and they have turned it into an amazing resource for finding information on just about every course in the world. Steve Hill is the associate editor for Rattling Chains. E-mail him at steve@rattlingchains.com and follow him on Twitter @OneMileMore. I’m somebody now! Millions of people look at this site everyday! This is the kind of spontaneous publicity – your name in print – that makes people. I’m in print! Things are going to start happening to me now.